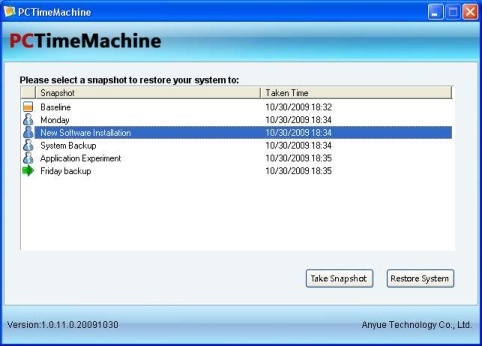 Similar to the Mac OS TimeMachine, PCTimeMachine is a free backup & system restoration tool for Windows OS that lets you revert your system back in time using system snapshots and restore your system to one previous time point to fix system problems. Compatible with Microsoft Windows 7 (32bit, 64bit), Windows Vista SP1+ (32bit, 64bit), Windows XP SP2+ (32bit). I badly needed it since I experiment with various applications often. Can I use as backup? How?